Highway 130 is closed between Highway 132 and Old Kalapana Road until further notice due to road cracking that could be related to potential volcanic fissures. The Hawaii Department of Transportation is now managing two major highway crises simultaneously: clearing and reopening the Kuhio Highway on island of Kauai, closed due to mudslides triggered by heavy rains on April 14, while also prepping roadway detours on the “big island” of Hawaii due to the eruption of the Kilauea Volcano that began on May 3. HDOT and the County of Kauai are slowly bringing the Kuhio Highway linking the towns of Waikoko and Wainiha on the island of Kauai back online. That roadway — also known as Route 560 — got buried in tons of mud and debris during landslides triggered by heavy rainfall in excess of 30 in. in mid-April. HDOT initially made a “single lane route” available to local traffic only starting on May 4, with pilot vehicles escorting caravans to and from set checkpoints along the roadway. Speed restrictions are in place along the route, with a speed limit of 5 mph in some areas and 15 mph elsewhere along the single lane. The agency said crews continue working to fully re-open the two-lane highway, but a full re-opening is not expected for another three to four months. Meanwhile, HDOT is working with the County of Hawaii to prepare an alternative route in Puna should the Keaau-Pahoa Road — also known as Highway 130 — be cut off by the ongoing eruption of the Kilauea Volcano. 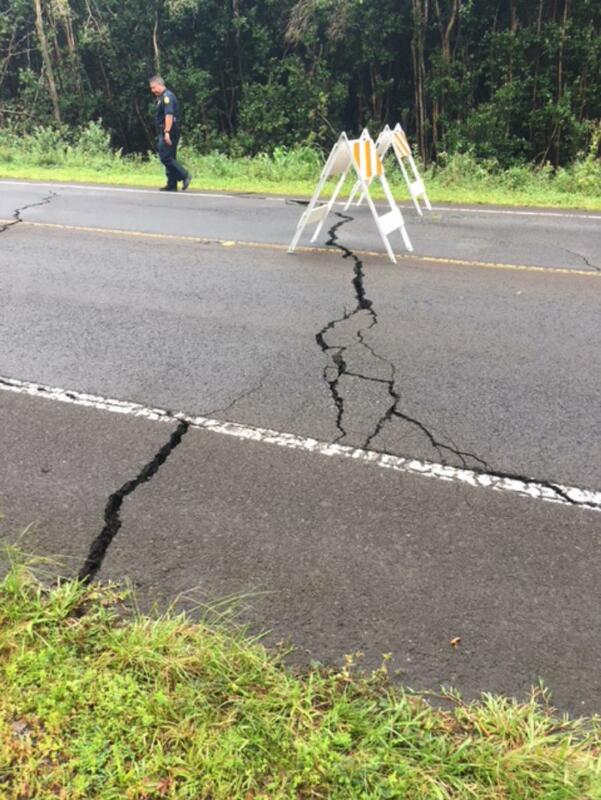 Right now, Highway 130 is closed between Highway 132 (also called the Pahoa-Kapoho or just Kapoho Road) and Old Kalapana Road until further notice due to road cracking that could be related to potential volcanic fissures, the agency said. HDOT said it is working with the county to prepare an unpaved portion of Highway 137 that extends north of Highway 132 to Makuu Drive in Hawaiian Paradise Park as an alternate route should further portions of Highway 130 need to be closed.